The hot summer months are officially here! With the sun out and shining there’s not a better time to be out and enjoying good food, weather, and company! That means vacations, BBQ’s, and family get-togethers. Summer presents plenty of foods that are tasty and healthy. Unfortunately, there are also plenty of foods that can lead to cavities and gum disease. Two of the biggest summertime culprits are lemonade and soda. These two beverages contain massive amounts of sugar – which is not only bad for your teeth but bad for your overall health. 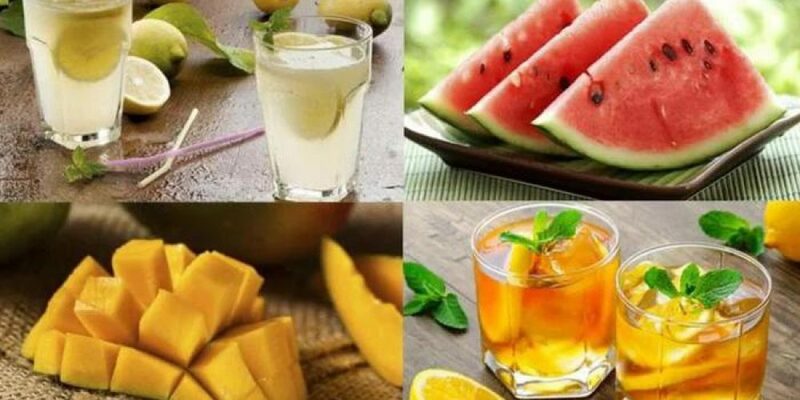 There are definitely some summertime foods that are better than others if you are interested in treating your teeth as well as your treat your appetite. Consider adding these smile-friendly foods to your list of options. Often regarded as “dental detergents,” apples are water-rich and make for a great on-the-go snack. The tons of fiber they have provides a scrubbing effect, cleaning the surface of your teeth while you eat them. The fruit also dislodges newly formed dental plaque. Rinse your mouth out with water afterward, for maximum teeth-cleaning benefits. One of the most popular healthy summertime foods are the juicy and vibrant strawberries. They’re rich in antioxidants and vitamin C that promote eye health, help fight bad cholesterol and regulate blood pressure. Strawberries help reduce inflammation and contain collagen – a protein that helps fight periodontal disease. Just make sure that you don’t eat them with chocolate, cream, or any other non-natural sweets, otherwise, you’ll turn a healthy food into an unhealthy one. Biting into a fresh summertime peach – there’s nothing sweeter than that. Containing mineral fluoride helps re-mineralize and rebuild teeth enamel. Peaches are a great food for helping prevent cavities. The high amounts of vitamin C and calcium will help strengthen your teeth. Eat and stay hydrated in the summer. On top of packing skin-protecting lycopene, watermelon consist of 92 percent water, which dilutes the sugars the fruit contains and stimulates the flow of saliva, helping protect teeth from bacteria. They’re also rich in vitamin C.
Thanks to its fibrous consistency, pears stimulates saliva production. Pears lower plaque levels in the mouth and provide a barrier for teeth against harmful acids. However, you may want to skip the dried fruit, since they’re known to be sticky and sugary. You may be wondering why we are suggesting eating onions as they typically give you bad breath after eating them. Have no fear – a toothbrush or water is near! The onion is known to eliminate bacteria that can cause cavities and gum disease, so go ahead and add a few slices of these to your salad, burger or sandwich. Might we suggest a healthier way to quench your thirst that is also good for your oral health? No surprise here, it is water! A refreshing way to drink water is with a few ice cubes. If you need something a little more flavourful, try adding some fresh fruits such as lemon, lime or cucumber to the water and let it sit for a few hours. Fruit-infused water can be incredibly beneficial to your health as well as your teeth. Serve it up in a nice pitcher, and enjoy it! By incorporating foods like these into your summer menu, you can enjoy numerous dental and oral health benefits.